Every investor has several components that combine to make them successful. The degree of success depends on how well you can implement the components and how well your strategy works. The method investors have for selecting shares that they want in their portfolio is arguably one of the most important areas of being a successful investor. The next vital component is the trading plan. This doesn’t need to be overly complex you just need to know what you will do if the share price goes up, down or sideways. If you can cover these three things then you have a contingency for anything the share price can throw at you. And more importantly you will prevent yourself from reacting to market fluctuations. The trading plan should also incorporate an overall strategy for the share that you have selected and explain the reasoning behind why you’re doing what you’re doing ie why you decided to place your order level at this particular point. You will need a risk management strategy and to be successful in the long term you will need to implement the strategy. The number of times I’ve seen people unwilling to sell when the share reaches a risk price is a little bit scary. The above three things are great to have in place but don’t forget that you must be disciplined in implementing them otherwise you’re setting yourself up for failure. After identifying these strategic factors you should consider how much you are willing to outlay on each share. It is important to try and spend the same amount on each share ie $5000 across a portfolio of 10 shares in order to maintain a balanced portfolio. In other words don’t put all your eggs in one basket. Finally before deciding to go ahead with any trade you should asses whether the risk to return is worth it. Over my investing lifespan I have stuck with a ratio that is for every dollar that I am risking I stand to make three or if I stand to make $3000 from a trade then I am willing to risk $1000 in order to make it. The reasoning behind this ratio is that no matter how good you are you will always loose out on a few trades. Having a ratio like this ensures that when the trades come of they more than compensate for any losing trades that you may have. To recap any successful investor over the long term must exhibit these characteristics over the long term. Take responsibility for themselves and make their own decisions. They take the credit for making profit and accept the responsibility for any losses. They learn from these decisions and improve over time. Make trading plans and stick to them. They make trading plans based on reliable information and not emotional reactions. And, they stick to their plan. Allow for contingencies in the plan so they know what they are going to do if the share being traded goes up, down or sideways in price. The plan then dictates the actions and prevents unprofitable reactions. Only put their money into financially secure companies. Buy shares that are cheap and sell those that are expensive relative to their price trends. 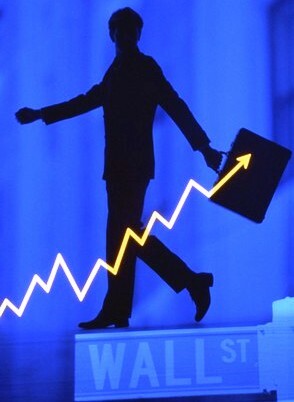 Only trade up trending shares and Trade unemotionally and have the discipline to trade the plan. They plan the trade and trade the plan. Keep taking money out of the market. You only make money when you sell shares. Previous story All your Expenses: Essential or Optional?